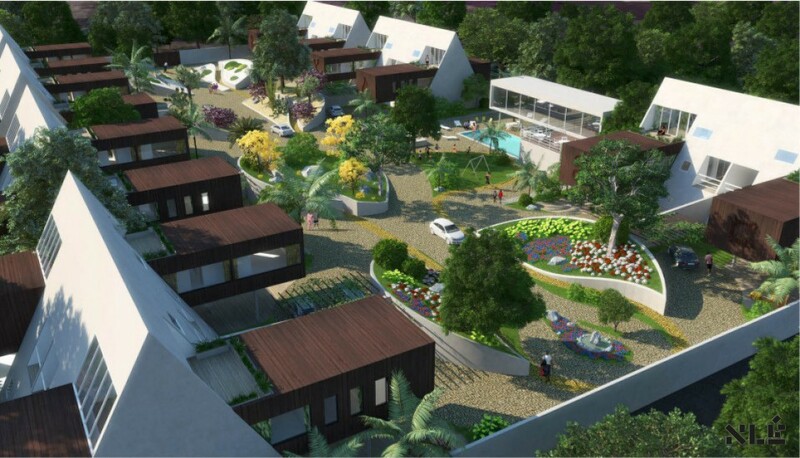 NLÉ’s ‘Mabushi’ Residential Development is a unique, lush and efficient residential estate designed in Mabushi district of Nigeria’s capital city, Abuja. 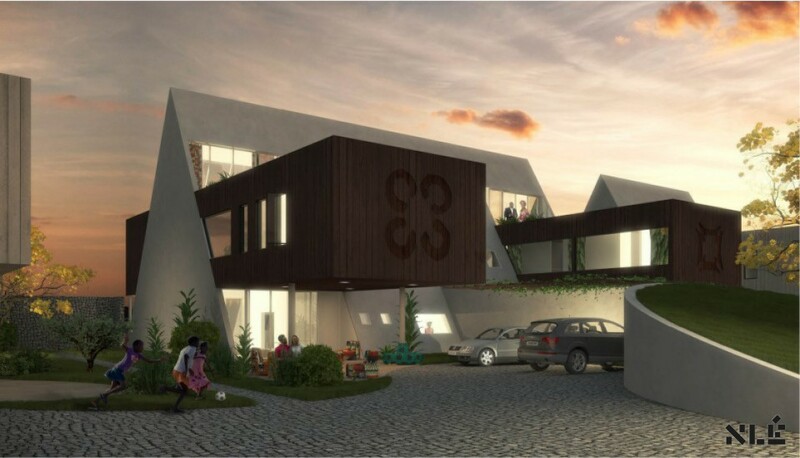 The climatic conditions of Abuja suggest an alternative architecture and approach for housing. Inverting the oversized roof structures of the popular building typology in Abuja, our building solution converts the roof space into habitable space. 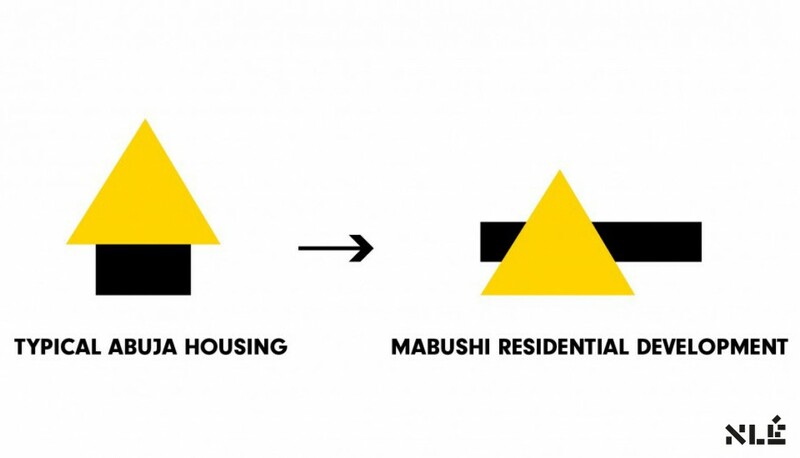 The white pyramid is an insulated roof protecting the home during the hot humid seasons. The wood clad box is a canopy which provides shade and outdoor spaces in the cool dry seasons. A three floor atrium is created at the intersection of these two spaces bringing daylight into the heart of the building – the living area. 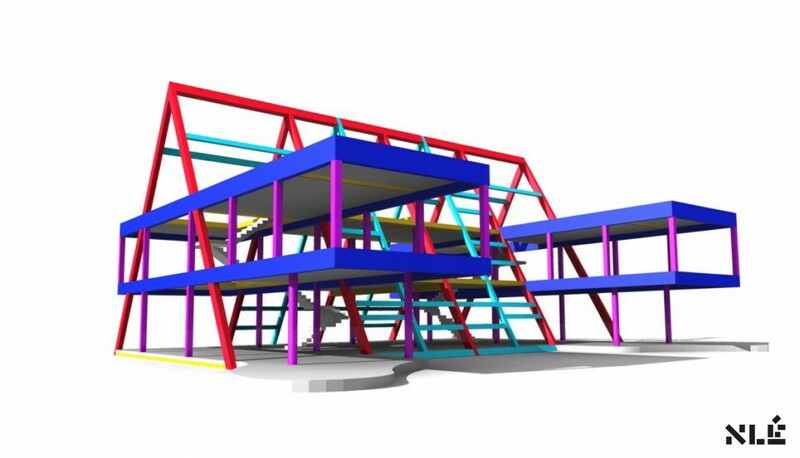 The building orientation, form and materials provide high thermal insulation, efficient spaces and comfortable living environment in and around the building. The unique architecture consequently reduces substantial long term energy costs, typically lost in air-conditioning. 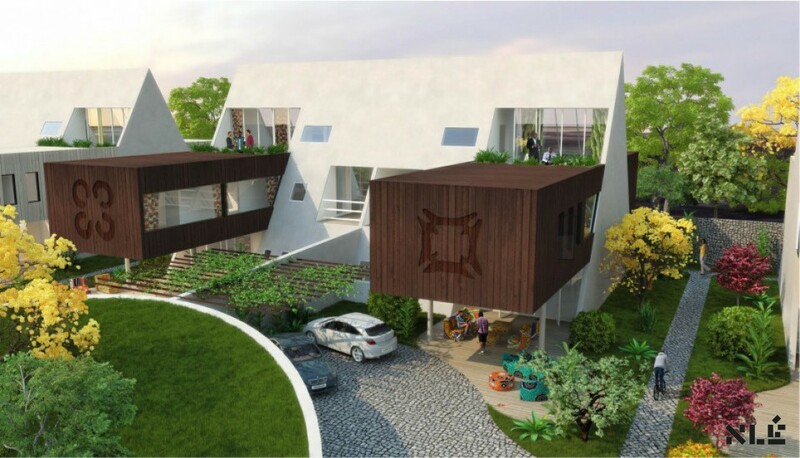 Seven ‘twin-mansions’ or semi-detached duplexes are situated in an abundant green estate comprising four communal gardens, a jogging trail, gym, swimming pool, bar and a children’s daycare center.